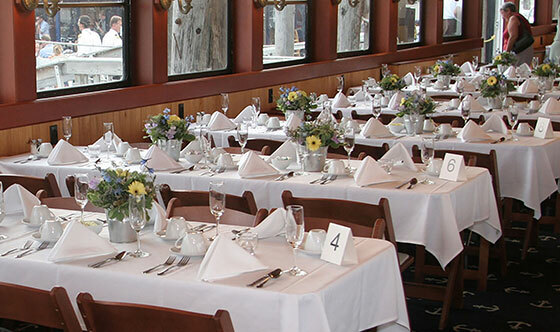 Looking to book your Boston yacht wedding? Classic Harbor Line operates a boutique sailing yacht and classic New England commuter yacht in Boston Harbor. Our small fleet of turn-of-the-century style boats are known for their quality craftsmanship, and their intimate, elegant and comfortable environments. 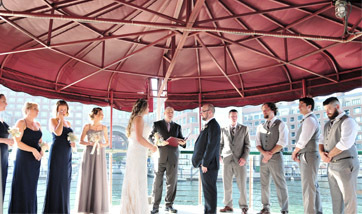 What perfect way to experience Boston than by boat in the Harbor with the city as your back drop as you say your vows. From the Schooners’ beautiful sails and construction, to the Northern Lights’ luxurious old-world nods, there is a yacht for every taste and style. Each yacht was handcrafted in upstate New York, along the Hudson River. Made with great detail and pride. These beautiful boats are ideal for weddings, entertaining, and hosting family or friends for a number of beautifully memorable occasions! Our professional crew will work alongside of you to help make your special day a most memorable one. Cruise through Boston Harbor on one of these classic yachts with our most hospitable Captain and crew to celebrate with those that you love surrounding you. Book your nautical wedding on any of one of our yachts. This wedding venue is sure to dazzle your guests and create a magical evening on the water. Contact us to start planning your Boston Yacht Wedding! Say, “I DO!” while taking in the majestic Boston Harbor Islands, New England light houses, and Boston’s skyline. Let Boston’s Harbor act as a perfect backdrop to your perfect day! Tie the knot as the sun sets, casting its golden glow over Beantown and gather for the cannon fire at the USS Constitution! Share this moment on a quiet sail aboard our 80 foot schooner with the sails raised and the sound of only gentle breezes and lapping waters around you. Say your vows as you cruise aboard our classic New England 1890s style steamship yacht, Northern Lights, or set sail aboard our stunning schooner, the Adirondack III. 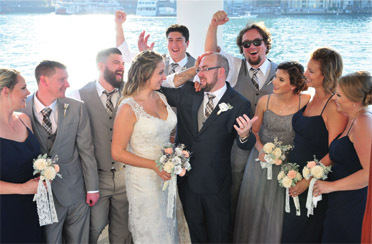 Our yachts are perfect for “smaller ceremonies” with a large amount of charm and uniqueness – up to 40 guests aboard the schooner and up to 135 aboard yacht Northern Lights. 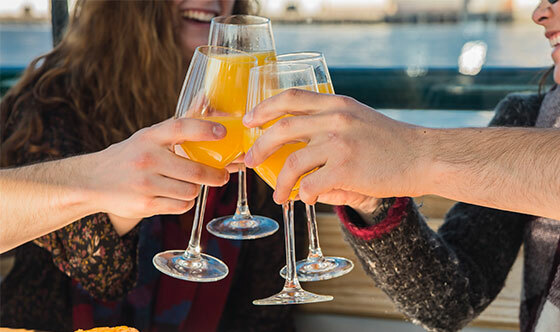 Treat your day-after friends and family to a brunch aboard Northern Lights. If they haven’t had time to see the sights, this relaxing, intimate, private brunch or luncheon covers nearly all the bases while you get to say ‘Thank You’ and ‘Good Bye’. Guests sit back and relax with an open buffet and bar service. Our climate-controlled space makes this venue a perfect environment to host your brunch reception during the spring, summer, fall, or winter. Northern Lights is an ideal venue to host the traditional bridal shower! She is great space for groups of 30 – 130. Offering an elegant and memorable gathering with plenty of room, to have bridal shower games, a brunch buffet, and a gift receiving table. Our spectacular mahogany trimmed salon with wrap around windows provides a unique venue to and a memorable experience for the bride-to-be and her guests. What better place to host your friend’s bachelor or bachelorette party than with Classic Harbor Line! These vessels offer an elegant way to go down memory lane and celebrate the future on the horizon! You will be away from the sounds of Boston and have a peaceful time to reflect on the past and take in the thoughts of the future. Circumnavigate the Boston Harbor Islands! Dance the night away or sit back and relax while chatting with you your closest friends and family! Sail or Cruise past the USS Constitution for the cannon fire at sunset, wave to couples and groups gathered on Boston’s waterfront and North End, cruise under the giant beams of the Mystic Tobin Bridge, and enjoy a once in a life-time event with us. Whether you decide to sail the day away or cruise into the sunset, this is a great, elegant, and original idea for a Bachelor or Bachelorette party. Only in Boston! 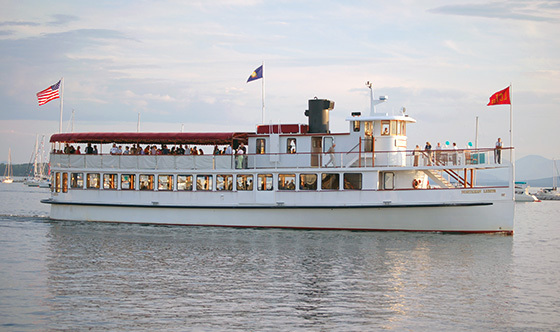 Hop aboard our classic New England 1890s style steamship yacht, Northern Lights, and host your Rehearsal Dinner in style! Take to Boston Harbor and let your guests experience the thrill of seeing the iconic Boston waterfront sights, while reveling in the excitement of this pre-wedding tradition! 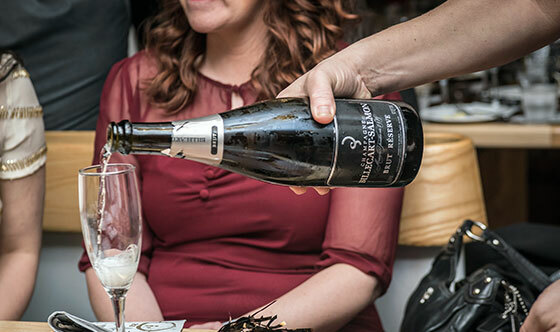 Let our famously-friendly crew take care of you and pamper your closest friends and family while sipping on champagne. The Northern Lights can accommodate up to 130 guests for passed hors d’oeuvres, up to 130 for a dinner. Complete your wedding with an elegant, comfortable and classic reception on our classic New England 1890s style steamship yacht, Northern Lights. Treat your friends and family to the classiest yacht in town as you cruise around Boston Harbor in style. Our uniquely styled yacht offers many great locations for wonderful and memorable photos of your special day. Pose at Boston Light as you say your vows, smile together at the helm, and get cozy on the bow. Epic photos for an epic love!